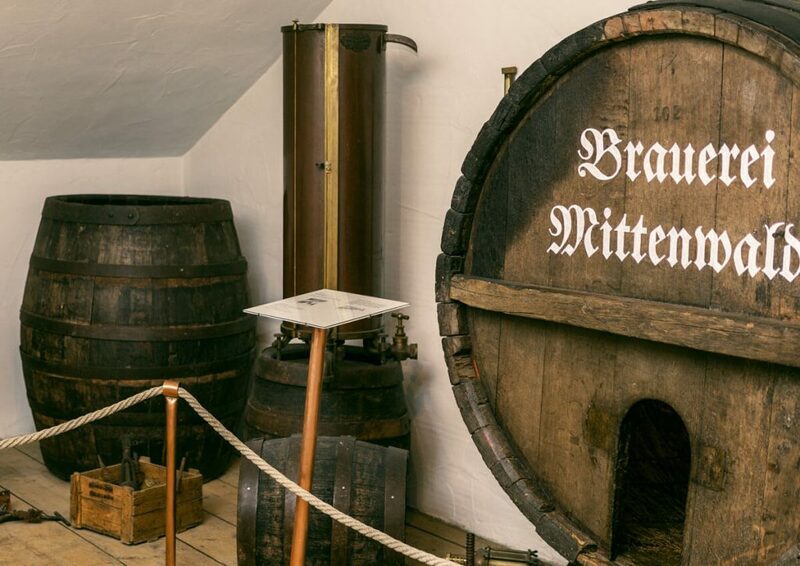 Experiencing the Brauerei Mittenwald means to take a pleasurable look behind the scenes of our historic brewery. 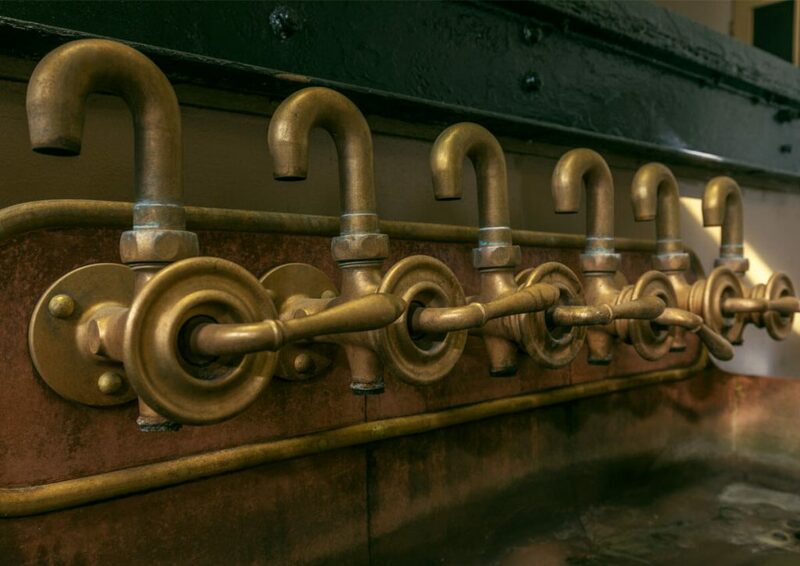 Our beer is brewed in traditional craftsmanship strictly following the Bavarian “Reinheitsgebot” and by using fresh mountain spring water. 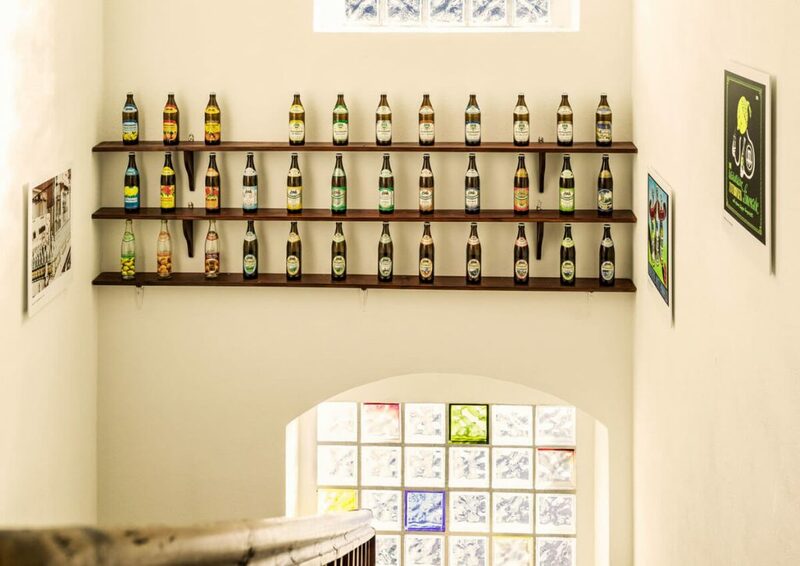 We offer different types of beer and you are very welcome to try them. 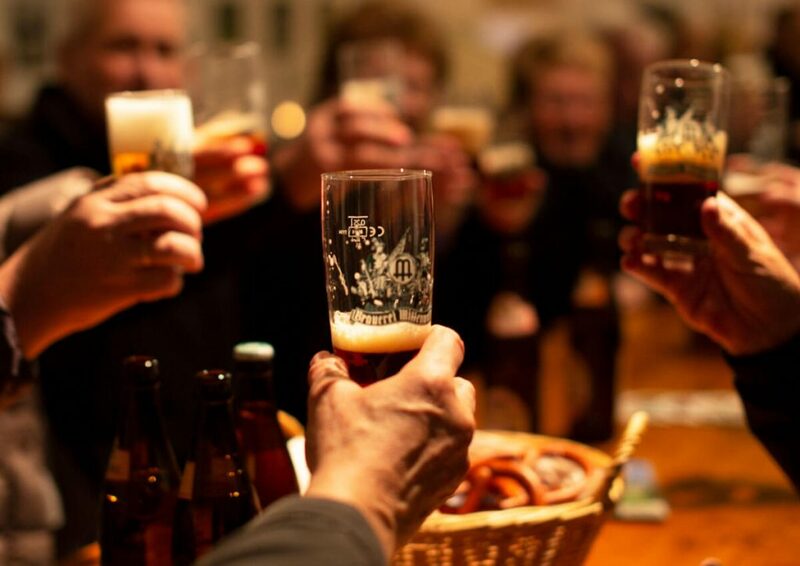 The most important thing during a brewery tour is of course the beer tasting! 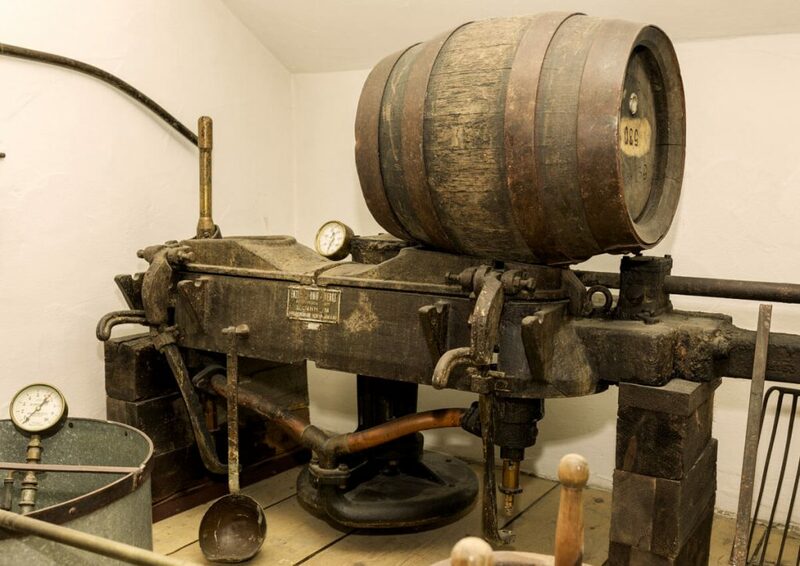 Looking at old brewery machines such as the word chiller and the grist mill, you will experience the beer tasting in the historical ambiance of our brewery museum. 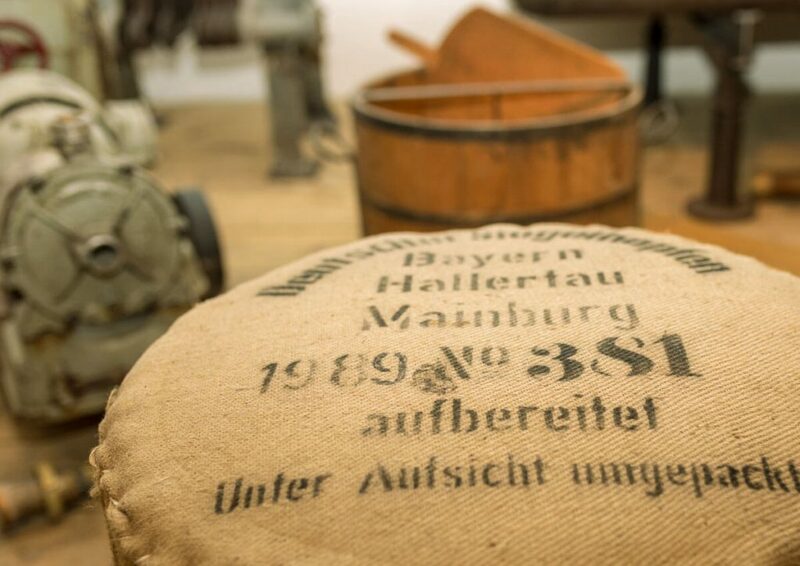 Whilst enjoying beer and pretzels we reveal in a short film the secrets of our beer production. 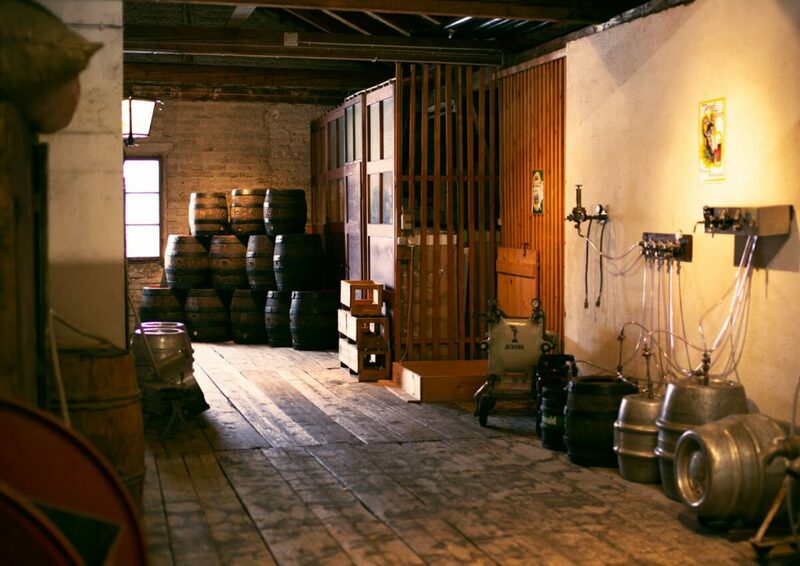 Later, anyone who wants can then try as a brewer’s apprentice: their first job was scrubbing the large wooden storage barrels from the inside. The difficulty being not the scrub itself, but the know-how on how to get into the barrel at all. 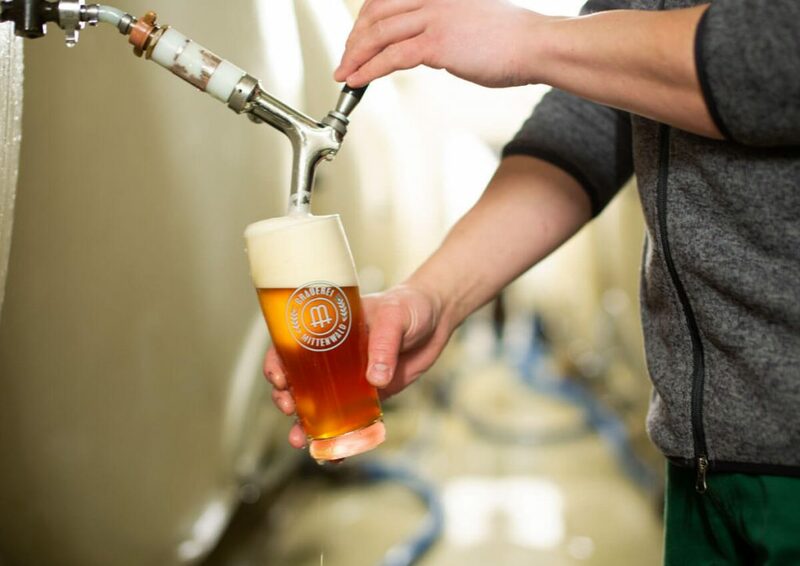 You will be amazed how much our beers will enhance your flexibility! 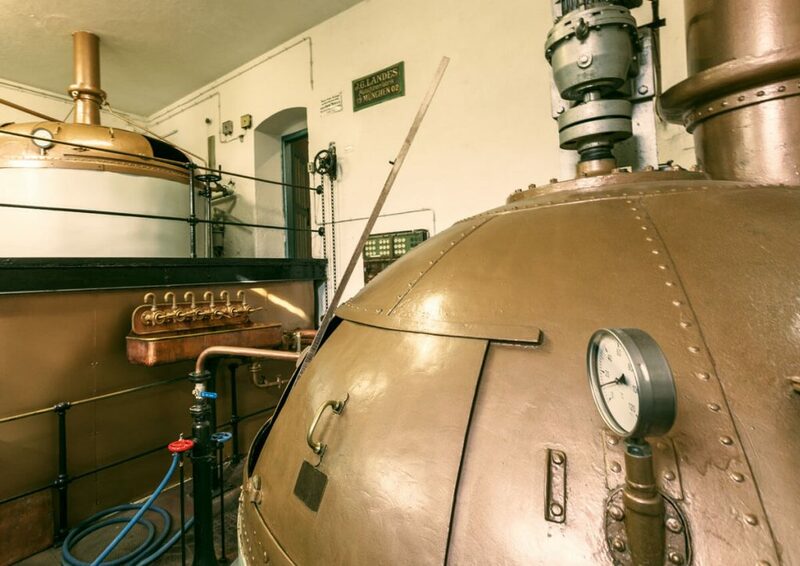 After the refreshment in the museum, we take you on an exciting discovery tour of our brewery: The historic brewhouse, the former workshop, the old barrel storage and our modern bottling plant are waiting for you. 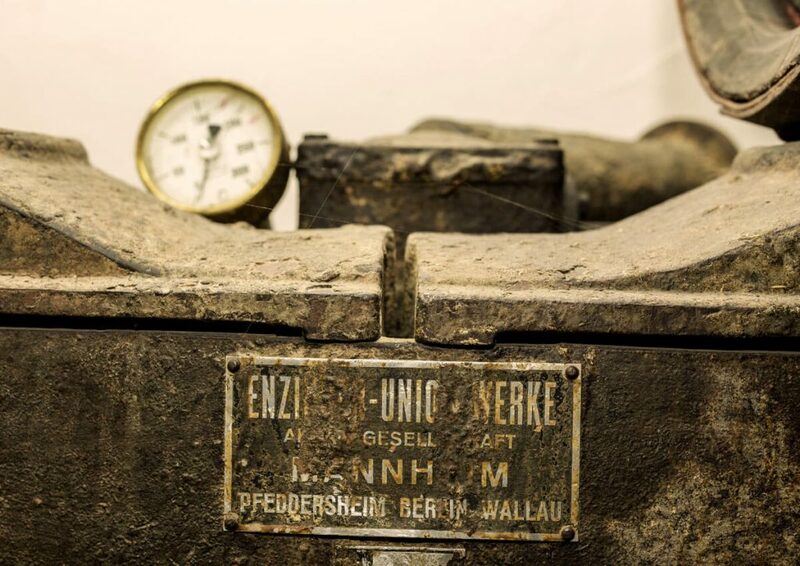 In the fermentation and storage cellar, you can finally taste a very special beer: The “Kellerbier”, directly from the tank. Be curious! 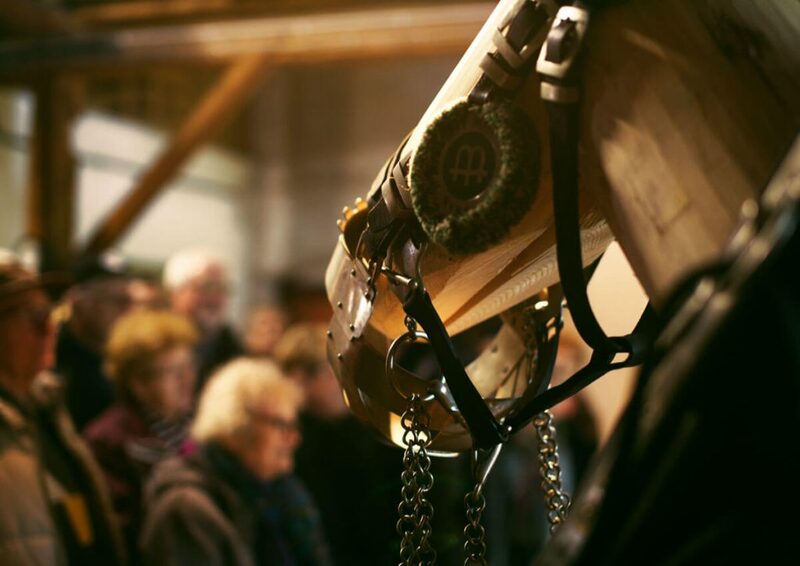 We will end with the tour in our shop where a special souvenir is waiting you. From May until October, every Tuesday at 10.30 a.m. for individuals. (Minimum number of participants: six people). July until September also on Thursdays at 3:15 p.m. Registration please by phone, by mail, in our shops (in Mittenwald or Krün) or the tourist information in Mittenwald, Krün and Wallgau. For groups from 15 persons: dates by appointment – also on Saturdays. Adults 12 €, children over 6 years 6 €. 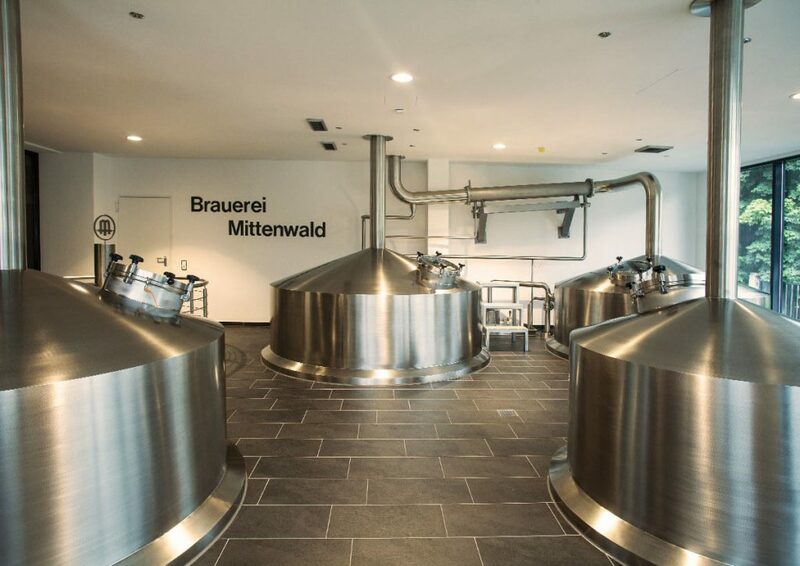 Includes the brewery tour (about 90 minutes), film screening, beer tasting and pretzels, “Kellerbier” and a souvenir. (Children are allowed to taste our soft drinks). 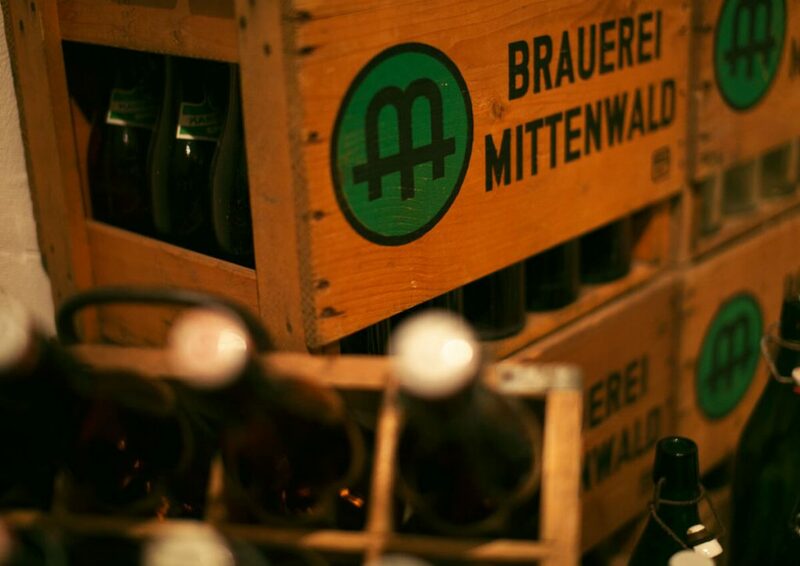 We are happy to reserve a lunch or dinner for you in one of our brewery’s own restaurants.